It’s official! Victaulic Construction Piping Services has been rebranded to Virtual Design and Construction, or VDC. 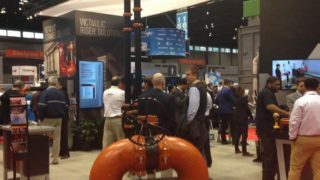 This new name shines light on the suite of services that Victaulic provides to customers, along with the industry thought leadership displayed around the world. Though we make this statement, many people still don’t know how a manufacturing company like Victaulic uses and understands VDC. Let’s start by defining Virtual Design and Construction (VDC). Virtual Design and Construction, as an industry term, refers to the tie between technology, processes and project teams. The goal in VDC is to utilize technology to enable teams to work more efficiently in all stages of construction. Companies who embrace VDC are using software and technology for a competitive advantage in the industry. 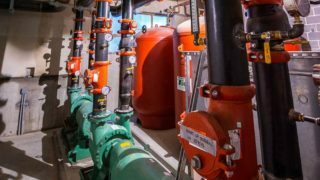 What does this VDC name change mean for Victaulic? From its inception 36 years ago, the Victaulic VDC department has been providing services to customers using industry-leading processes and technology. When established, in 1982, the services were cutting edge, giving customers unique preplanning packages that included everything from estimates to complete bills of materials and assembly drawings. Fast forward to 2018 and you will find models in 3D, 4D or 5D, executed to BIM requirements, with estimates done in cutting edge estimating software developed in-house by Victaulic. The VDC team has evolved, embracing collaboration and modeling software to enable teams to work more efficiently than ever before. One example of this is the use of virtual reality software to visualize models in new ways. Instead of looking at a flat computer model, VDC team members and customers can now walk through a project to see where all of the piping and equipment will be placed. Today’s VDC is more than just a modeling group. The department is filled with software developers, trainers and industry thought leaders who can be found speaking at conferences around the world. Whether you’re attending global BILT conferences or traveling to Autodesk University, chances are you’ll see a member of the Victaulic VDC team on the speakers’ docket. Topics at least year’s Autodesk University centered on fabrication and spool creation, and included hands-on labs with Victaulic Tools for Revit™. This home grown add-in for Revit was born out of an internal need for efficient MEP pipe routing tools over 5 years ago. The software development team, led by Richard Bell and Ralph Schoch, created the Revit add-in which provided our team, and later the larger contracting and engineering community, with simple and efficient tools to significantly reduce routing time. The add-in has evolved with every iteration of Revit, and now brings fabrication spooling into Revit for the first time. This allows the technology of Autodesk Revit to be utilized at all stages of construction, from planning through fabrication and installation. VDC, as a term, is driving the construction industry forward. 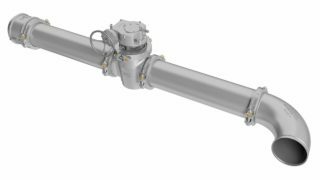 Technology is evolving daily, and Victaulic is choosing to not only embrace it, but to look for ways to enhance the existing tools to continue moving the needle. The name change to VDC reflects not only the industry trends, but also the culture of a company that is committed to continuous innovation. Whether we are driving the industry forward with software and thought leadership or with ground-breaking product solutions, Victaulic is your total project partner. If you’d like to learn more about the services or software provided by Victaulic Virtual Design and Construction, please reach out to us at routingsoftware@victaulic.com, or visit VictaulicSoftware.com. 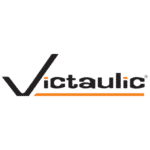 We’d love for you to try Victaulic Tools for Revit™ for free. A 30 day free trial is available now on VictaulicSoftware.com.